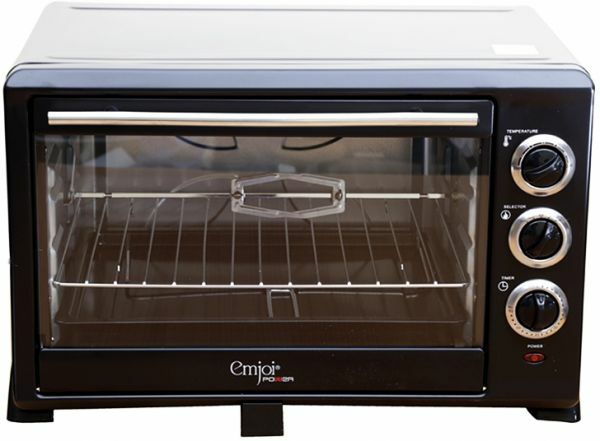 The Emjoi Power Brown Electric Oven is a high quality oven. This oven has a capacity of 45 liters and consumes 2000 Watt of electric power. It is made using stainless steel that makes it sturdy and long lasting. الفرن ممتاز جدا وخدم معي اكثر ٧ سنوات بدون مشاكل والان تحول للتقاعد ..